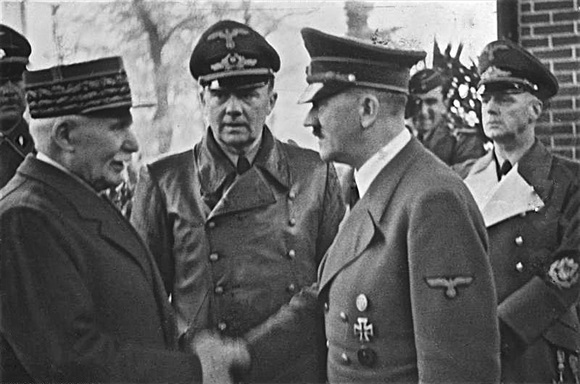 After failing the day before to convince Spanish dictator Fran­cisco Franco to bring his coun­try into the war on the Axis side, Adolf Hitler met with 84‑year-old Marshal Philippe Pétain and Pierre Laval, head of state (chef de l’État Fran­çais) and deputy leader of Vichy France, respec­tively, on this date in 1940 in the rela­tively iso­lated town of Mon­toire-sur-le-Loir, about 80 miles south of Paris. The meeting between the Ger­man and French leaders had been sug­gested two days ear­lier by Laval, an out­spoken pro­po­nent of state col­labo­ration with Nazi Ger­many, even pushing his view on Pétain that the Marshal for­mally en­roll France in the Tripar­tite (Axis) Pact. Hitler’s charm offen­sive took place in his pri­vate coach just out­side the town’s train station. For Pétain and Laval it was impor­tant to define a new rela­tion­ship with Ger­many, even if it was an un­equal one. On Pétain’s agen­da was a re­duc­tion in the war indem­nity France was obliged to pay the vic­tor­ious Ger­mans. Pétain also wanted Hitler to release over two mil­lion French pri­soners of war who were being used as forced laborers to en­force Ger­man terms on France. Pétain and Laval were assured that France could expect con­ces­sions if an accept­able agree­ment on collab­o­ration was nego­ti­ated. The famous hand­shake between Hitler and Pétain was photo­graphed, and Nazi propa­ganda made much use of the photo to gain sup­port from French civil­ians. A week later Pétain made collab­o­ra­tion Vichy state policy, declaring on French radio: “I enter today on the path of collab­o­ra­tion” (“J’entre au­jourd’hui dans la voie de la col­lab­o­ra­tion”), and in­viting his coun­try­men to join him on the jour­ney. Five years later, in 1945, Pétain was handed over to the pro­vi­sional French govern­ment headed by his war­time nem­e­sis, Gen. Charles de Gaulle. Pétain’s speech to the French nation was one of the crimes leveled against him at his post­war trea­son trial. In his defense, the in­creas­ingly senile 89‑year-old Petain claimed to have done his best to pro­tect the French people from the worst ex­cess­es of the Nazis, but he was sen­tenced to death along with Prime Minis­ter Pierre Laval. Later Pétain, but not Laval, was given a re­prieve by de Gaulle. In 1951 at age 95 Pétain died in his is­land prison, stripped of all mili­tary ranks and honors except that of Marshal of France. Above: On October 24, 1940, Philippe Pétain and Pierre Laval con­ducted an his­toric meeting with Hitler at Mon­toire, France, where the two French leaders discussed the possi­ble direc­tions of Franco-German col­lab­o­ration. 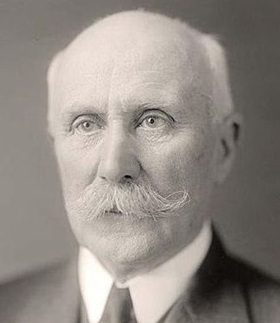 For Pétain and Laval, collab­o­ration with Ger­many was the means by which their coun­try might secure a better place in Europe once peace had broken out, as well as safe­guard Vichy’s sover­eignty over the Ger­man-occupied north and west­ern French zones and the unoccu­pied southern (Vichy) zone. Left: Philippe Pétain (1856–1951) was a French general who reached the distinc­tion of Marshal of France, later author­i­tarian Chief of State of Vichy France from 1940 to 1944. His war­time collab­o­ra­tion with Nazi Ger­many resulted in his post­war con­vic­tion for trea­son (by a one-vote majority) and death sen­tence. Gen. Charles de Gaulle, who was Presi­dent of the Provi­sional Govern­ment of the French Republic, com­muted the sen­tence to life impri­son­ment owing to Pétain’s advance age and his mili­tary con­tri­bu­tions in World War I. Pétain was exiled to an island prison off the French Atlantic coast, where he died at the age of 95. 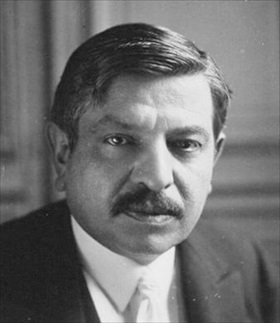 Right: Pierre Laval (1883–1945) was four-time Prime Minis­ter of France, twice serving the Vichy regime as head of govern­ment. An admirer of totali­tarian govern­ment, Laval em­braced the cause of fas­cism, the destruc­tion of demo­cracy, and the disman­tling of the demo­cratic Third Republic. He signed orders sanc­tioning the depor­ta­tion of foreign Jews from French soil to the Nazi death camps. On Septem­ber 7, 1944, what was left of the Vichy government moved to South­western Ger­many. After falling into U.S. hands, Laval was turned over to the French govern­ment in late July 1945. Tried for high trea­son and vio­lating state secu­rity, he was con­victed and sen­tenced to death. Only eleven days after the ver­dict and after a failed attempt at sui­cide, Laval was exe­cuted, half-uncon­scious and vomiting, by a firing squad on October 15, 1945.